Unreal Lawns supply and install artificial grass in Hyde and the north west of England. We serve domestic and commercial customers in the area, with products suitable for a wide range of applications from outdoor spaces and gardens, to event areas, exhibition space and more. See below for some examples of projects we've carried out in the Hyde area. 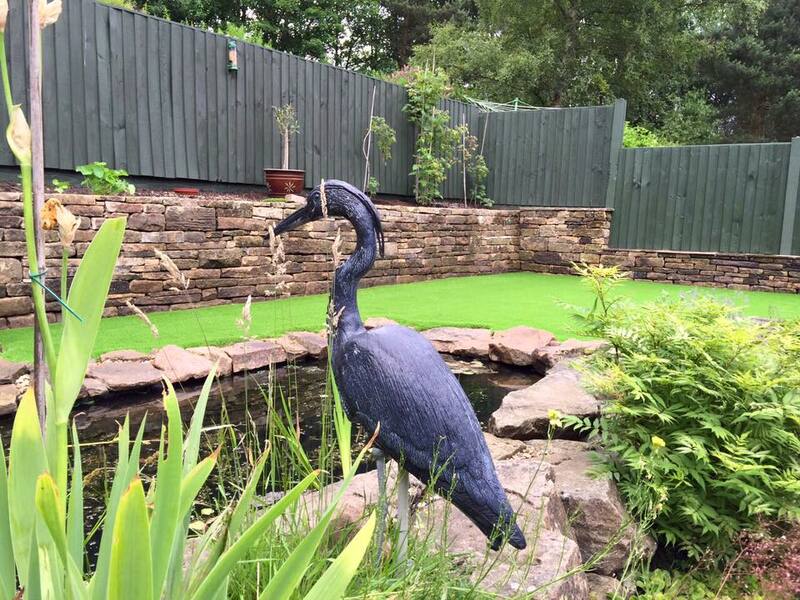 The team at Unreal Lawns don't come across gardens with ponds too often, but after fitting our artificial grass in this garden in Hyde we feel that it looks really great and works well alongside the pond. The garden was previously no more than a pond surrounded by dirt and rubble and the customer was unhappy with it so contacted us to come and take a look. We installed our supreme grass product to the garden, fitting it around the pond rockery. The result was brilliant and the customer was over the moon. Take a look at the transformation gallery. I'm sure you will agree that adding artificial grass is a vast improvement.